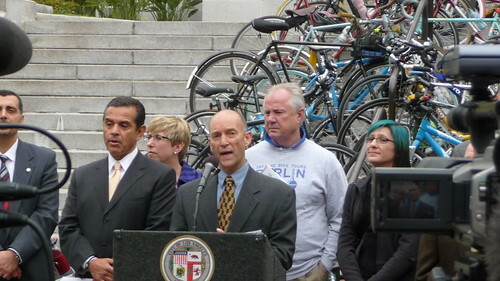 I had the great pleasure last week of getting to speak with Jay Slater, the newly elected Chair of the Los Angeles Bicycle Advisory Committee (BAC). In February, during the BAC’s previous meeting, the BAC held their bi-annual election and voted in Jay as their new Chair. The BAC has their next meeting this coming Tuesday night, at 7 PM, at Hollywood City Hall. As always, BAC meetings are open to the public. You can read the BAC agenda here, as well as the Bike Program and Bikeways Engineering reports submitted to the BAC. In the speech he gave prior to the election, Jay emphasized the shortcomings of the BAC in years past and proposed a model of what the BAC needs to become in the future. Below the fold Jay and I discuss what he plans for the BAC, the importance of getting the new adopted LA Bike Plan done right, his campaign to create a BAC liaison program, and his efforts to raise the profile of the BAC and their online visibility. Wednesday afternoon saw the penultimate stage completed in the years-long journey to get a new bike plan adopted for the City of Los Angeles. 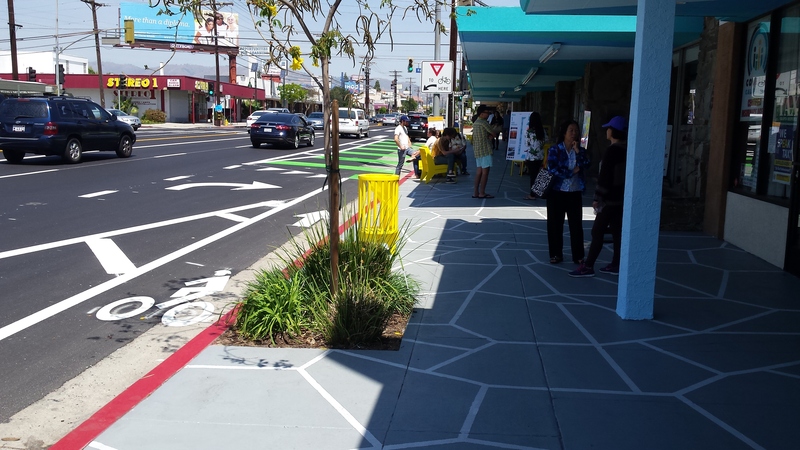 In a special joint session, both the PLUM (Planning and Land Use Management) and Transportation Committees met to discuss the draft LA Bike Plan. 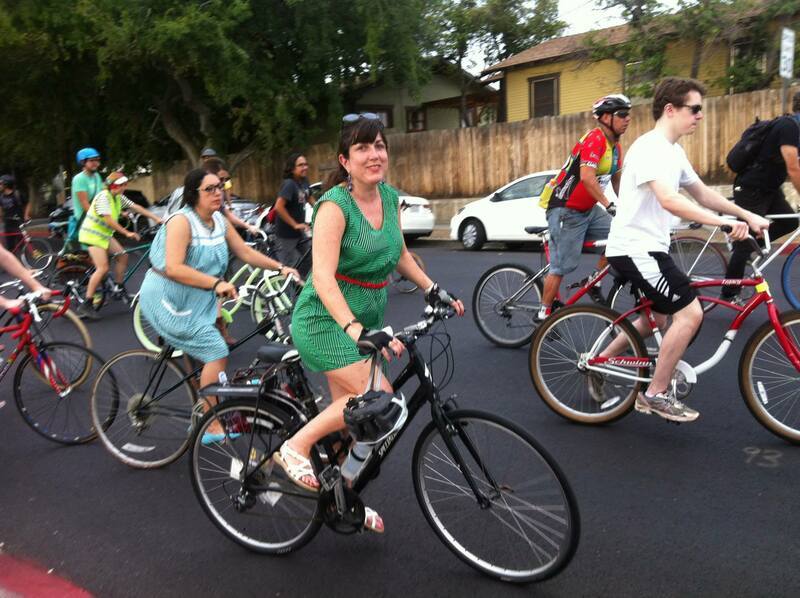 As the two committees with input on the bike plan, they are the last step before the plan faces the full City Council for adoption into the City’s general plan. The crowd on hand was much smaller than those who turned out for the Bike Plan at the City Planning Commission, but there was still ample representation from the LACBC, Bikeside and the BAC. While there was a small measure of conflict among speakers and committee members (mostly centered around equestrian/mountain biking conflicts), the plan itself easily sailed through committee. Below the fold, we’ll cover the highlights of the hearing. If you want blow-by-blow coverage, you can always check out the twitter feed of LADOT Bike Blog’s author Christopher Kidd (@BikeBlogChris). You can also check out the twitter hashtag #LABikePlan to see what the collective bike community had to say during the hearing. There were three items heard before the joint committee. The first was an action item (requiring a vote) and the last two were “receive and file” items (which don’t require a vote). It’s the moment we’ve all been waiting for. At the Van Nuys Civic Hall Chambers, the City Planning Commission is meeting to discuss the most recent version of the Draft LA Bike Plan. Jump below the fold to follow our live coverage. Finals, finally, are over. 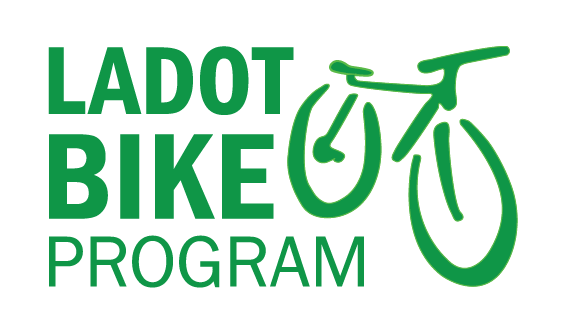 That means LADOT Bike Blog is back to the grind, providing LA’s bicycling public with news and information from the LADOT Bike Program. 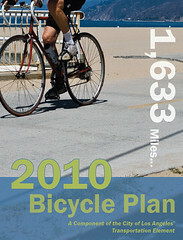 Look forward to a retrospective of 2010’s bicycle accomplishments, a continuation of the “Anatomy of a Bicycle Friendly Street” series, and coverage of the Draft LA Bike Plan as it wends its way through City commissions, committees, and (eventually) the City Council. LADOT Bike Blog hopes all our readers will have a safe, cozy, and tasty Thanksgiving. We apologize for the low number posts lately, but we’re smack in the middle of finals right now at USC. We’re committed to coming back with a bigger and better LADOT Bike Blog once things settle down. In the meantime, there are a number of bike-related events in December that you absolutely should not miss.